Solomon’s desire to professionalise and increase the commercial viability of the farm crops up often during our conversation, and it is apparent that he will not easily be thwarted. In fact, this tenacious attitude has probably played an important role in the farm’s success. Established in 1989, during the dwindling years of apartheid, the co-operative initially made use of a 10-hectare piece of land. There were 10 founding members, six of whom are still active on the farm, while the remaining four have since passed away. The early years were not easy for the co-operative, and its members had to labour long and hard for any gains they made. According to Ntombi Sibiya, one of the founding members and the Treasurer of the co-operative, farming activity will always demand some form of strenuous labour. Well into her 60s, she still works the fields on a daily basis. The vast majority of the ferns cut at the farm are destined for the European export market, with the most of them finding their way to florists in the Netherlands. The project has expanded over the years, acquiring 17 hectares from a neighbouring farm and, with the assistance of the National Development Agency (NDA), buying another 10 hectares of land in 2005. The Agency also provided funds for all the infrastructure needed to make fern farming possible on the newly acquired land. The Current Chairperson, Nomsa Mavusa, became involved in the project after the death of her husband, Obed, who was a founding member. She states that the project employs 120 people, and this number may increase during very busy periods with the hiring of some casual labourers. As the ferns are not highly seasonal, the farm’s employees enjoy stable employment, although the yield from the ferns does tend to decrease during the winter months. At present, steeply rising energy costs are being felt on the farm’s bottom line, and energy-efficient practices are the order of the day. “You can only delay the collection of cut ferns for so long before they start to wilt, but we try to coordinate our collection and delivery activities at the packing house in a manner that does not unnecessarily eat into our diesel stocks,” shares Ntombi. The farm is also struggling with one of the refrigeration units in the packing house. It is not working, and this limits the production capacity during busy times as the cut batches of ferns have to be refrigerated. 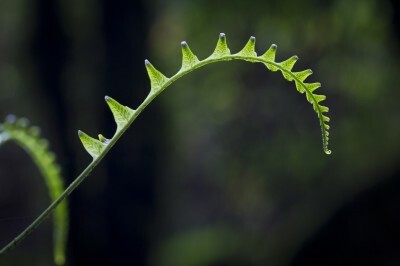 A more serious challenge is the emergence of a fungus on the plants that results in some, but not all, of the ferns’ leaves appearing wilted while still on the plant. The Department of Agriculture and the Agricultural Research Council have both been approached for assistance with the eradication of the spore, but at this stage there is no resolution in sight. 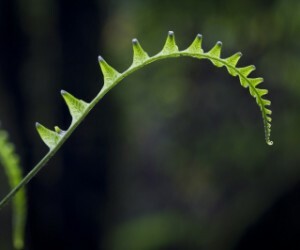 While this has proved effective to date, it is costly and also does nothing to address the fact that ferns that have this fungus reflect a yield drop from 4 000 batches per hectare to as low as 2 500 batches per hectare. However, despite the current challenges it is facing, the co-operative has big plans for the future. One of the first steps its members would like to take is to establish their own international brand. At present, all their exports are marketed and sold by another company, and while the demand has remained strong, they feel that there is a lot they can gain from establishing their own brand. “We definitely need to move closer to our markets,” confirms Solomon. “The information we receive about market conditions passes through too many communication channels before it reaches us. This means that we may, unintentionally, not respond to changing conditions and this could be bad news for us in the long term. All of this, Solomon is quick to remind me, is premised on a professionally run operation that can make the most of commercial opportunities that come its way. “We have worked really hard at making a success of the cooperative, and we have now reached the point where we are ready to take the next step. “This entails appointing a farm manager who possesses an agricultural qualification and understands the dynamic environment that commercial farmers have to operate in. Once we get this done, we will start growing towards a new level.” Considering the perseverance that the co-operative has shown during the past two decades, there is little doubt that it will make its ambitions a reality.